Best Mattresses For Athletes | Essentia | Organic Essentia Mattress Inc. While finding a high-quality mattress is essential for all individuals, it is even more vital for athletes. The importance of sleep for athletes cannot be underestimated. Numerous studies have been done on the relationship between athletes and sleep and have come to the conclusion that there is a direct link between strong athletic performance and healthy sleep habits. While those athletes with healthy sleep habits are more likely to perform better, the opposite is also true as there is a link between athletes and sleep deprivation as well. When an athlete does not get the quality or quantity of sleep that they need, their reaction times and physical abilities can be impaired as a result. Finding the right mattress is extremely important for an athlete to get the high-quality sleep they need to maintain optimal performance. To help you understand the basics of athletes and sleep, we have put together a foundational guide that delves into the importance of sleep for athletes and the best mattresses for athletes. Keep reading to learn more about natural mattress options that can take your rest days to the next level. Sleep is extremely important for all individuals as it is a time that allows the body to rest and recover. Before delving into how this process is specifically important for athletes, it is important to first have an understanding of the main stages of sleep and what happens to the body as it sleeps. The standard sleep pattern is comprised of two main stages: rapid eye movement (REM) sleep and non-rapid eye movement sleep (NREM). NREM sleep accounts for seventy-five percent of the sleep an average person will get during the night. As you sleep, your body will undergo a cycle that will repeat itself approximately every ninety minutes. In the first stage, the body is between being awake and falling asleep and is in a state of light sleep. As the body moved towards the second stage of sleep, it becomes disengaged from its surroundings, the body temperature begins to drop slightly, and the breathing and heart rate is regular. From there, the body moves to stages three and four, which are the deepest and most restorative sleep. During these phases of the sleep cycle, the breathing becomes slower, muscles are relaxed, the blood supply to muscles increases and tissue growth and repair occurs. During these phases, energy is restored and hormones, such as growth hormone, are released to the body. All of these stages are NREM sleep. REM sleep accounts for twenty-five percent of the night and generally first occurs approximately ninety minutes after falling asleep and recurs every ninety minutes throughout the night. REM sleep supports daytime performance by providing energy to the brain and body. REM sleep is characterized by the eyes darting back and forth and an active brain state as well as the occurrence of dreams. During REM sleep, the body is immobile and relaxed as the muscle has turned off. With this understanding of a normal sleep cycle in mind, it is now possible to explore why this fundamental bodily process is so vital for athletic performance. When an athlete does not get the sleep their body needs to relax, recover, and repair, it can manifest itself in a number of adverse side effects, such as slower reaction times, diminished motor skills, and lengthier recovery times. All of these side effects can have a tremendous impact on athletic performance. When a body does not get the sleep it needs, it is called sleep deprivation. The lack of sleep associated with sleep deprivation may be chronic or acute in nature. Sleep deprivation has a noticeable impact on the chemistry of the body. A part of the bodily processes that occur during sleep is the regulation of hormones. One hormone the body regulates the production of while we sleep is cortisol, which is a stress hormone. When an athlete experiences a lack of sleep, it can cause cortisol levels to rise. When the body receives a higher amount of cortisol, it can inhibit the body’s ability to produce carbohydrates and glycogen, which provide athletes with energy during high-endurance activities. Over time, this can make the body less and less able to perform at the level it normally would with adequate sleep. It is important to keep in mind that athletes often require more sleep than non-athletes. This need for sleep is even more vital before and after major athletic events, which can be taxing on the body. The standard sleep recommendation for the average, adult male or female is seven to nine hours of sleep to function properly. For an adult athlete, this number increases to ten hours of sleep needed per night when training or competing regularly. Sleeping this much will allow the body the time it needs for physical recovery and optimal athletic performance. In addition to getting more sleep, it is also recommended that athletes maintain a consistent sleep schedule that allows them to get the necessary amounts of NREM and REM sleep during the night. During REM sleep, cortisol levels within the body are regulated. During NREM sleep, cellular division and regeneration occur, which is vital for proper muscle recovery. With this understanding of the importance of sleep for athletes in mind, it is now possible to explore some of the best mattresses for athletes. Finding the right mattress can be difficult for any individual and this difficulty can increase for athletes because there are special considerations that must be accounted for. To accurately determine the best mattresses for athletes, it is first necessary to examine the various elements of looking at a mattress, as well as the various mattress types and their respective advantages and disadvantages for athletes. While there are many tips for injury recovery, getting quality sleep should always be top of the list. When looking for a new performance mattress, it is important to keep several factors in mind to make sure you are making the ideal selection. Below are a handful of the top mattress considerations for athletes. Support: The support of the mattress is determined by the support core layer(s), which are located below the comfort system. This supportive mechanism within the mattress is designed to withstand the sleeper’s weight by pushing back, which creates a level surface that allows the spine to remain flat. If the mattress does not have an adequate support system, it will begin to sag over time, which will make the mattress uneven and cause pain and pressure along the body. Temperature: Each person sleeps differently, with some naturally sleeping hotter or warmer depending on their body composition and processes. Some mattresses can amplify these temperature variances to make the bed feel overly warm or cold. When the body temperature is not adequately regulated, it can negatively affect sleep. Be sure to select a mattress that will work well with your natural sleep temperature. Firmness: The topmost layers of the mattress are known as the comfort layer(s). The composition of the comfort layer ranges from soft to firm, which is often rated on a numerical scale from 1 to 10, with 1 being the softest and 10 being the most firm. The ideal firmness of the mattress is highly dependent on a myriad of factors including sleeping position, body weight, and pre-existing injuries. Conforming: One term you may frequently see when looking for a mattress is the word “conforming.” Mattresses that are designed to adapt to the sleeper’s body will form a contoured impression within the bed that will alleviate pressure on the various pressure points along the neck, back, hips, and shoulders and will aid in aligning the spine. A mattress that conforms to the shape of the body will often be better suited to those who are looking to have pain and pressure alleviated from their body; however, be sure that the mattress does not allow you to sink too deeply within it as this can cause additional pressure and pain to occur. The variety of mattress types available can make choosing the right one for your lifestyle and body a daunting choice. As an athlete, it is of the utmost importance to select a mattress that will optimize the quality and quantity of your sleep so that your athletic performance is maximized. Below is a breakdown of some of the most popular mattress types available, as well as their respective benefits and drawbacks for athletes. Memory foam is one of the most well-known and popular mattress types available. Memory foam is often comprised of a polyurethane-based foam. Memory foam mattresses sink and conform closely to the sleeper’s body and often come at a reasonable cost. Memory foam mattresses aid in keeping the spine straight and alleviating pressure in the neck, shoulders, hips, and back. However, traditional memory foam mattresses often sag with age and may lose these supportive properties. These mattresses also sleep very hot as they rely on body temperature to conform to the body. In recent years, polyurethane foam has come under criticism for the plethora of harsh chemicals that are contained within the foam and their impact on overall health. For an athlete, in particular, it is important to make sure that your environment is free of chemicals and irritants that could potentially impact your ability to perform. Innerspring mattresses are one of the most widely sold types of beds and earn their name due to their composition utilizing steel coils as their support core. These steel coils are often reinforced with high-density foam layers. Innerspring mattresses are usually available in a variety of firmness options. However, innerspring mattresses tend to sag over time and lose their supportive qualities. In addition, innerspring mattresses often lack contouring materials in their comfort layer to provide conforming properties. As an athlete, choosing the right mattress can have a tremendous impact on your career. 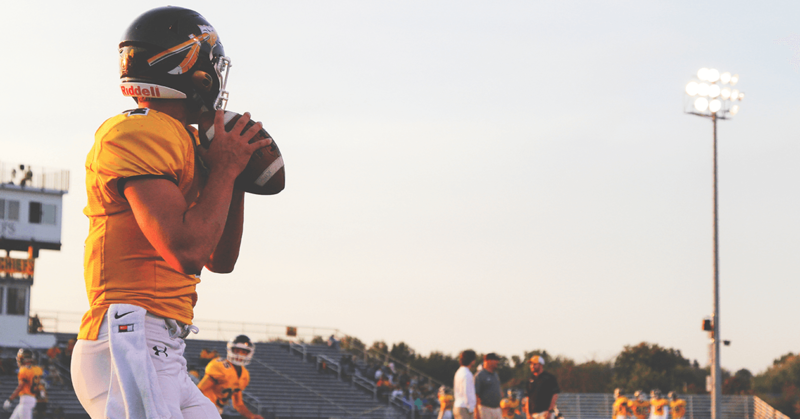 Acute injuries or fatigue can be career ending for an athlete, and the potential to experience both is increased when the body is not getting adequate rest and recovery time. Getting less quality sleep than is needed negatively affects mental clarity, accuracy, and speed and increases the likelihood of experiencing an injury. After examining the science behind how sleep affects athletic performance, it is clear that athletes need a sleep solution designed to meet their needs. Essentia developed the ProCor mattress specifically to address the unique needs of athletes. The ProCor mattress is a custom sleep system specific to each athlete’s individual profiles. The ProCor bed nurtures the body, allowing it to heal and recalibrate. Featuring all six key elements needed for Wholebody Recovery, the ProCor is the best mattress for athletes.